The purpose of this study was to observe the differences in activation patterns in shoulder girdle muscles of drawing and bow arm during archery shooting. 106 shots were analysed of eight subjects that have been involved in the current study were the associate archers for Turkish junior national team. The measurement sites were prepared according to SENIAM’s recommendations. Pass band of EMG amplifier, sampling rate, maximum intra-electrode impedance and common mode rejection ratio (CMMR) were 8-500 Hz, 1000 Hz, 6 kOhms and 95 dB, respectively. EMG activities of M. Deltoid Middle and Posterior, M. Trapezius Middle and Lower were quantified in both drawing and bow arm. Three-second periods of twelve shots’ EMG data were full-wave rectified and filtered (moving average filter with 60 ms time-window) for each archer. ANOVA test and Tukey post hoc were used to assess the differences among periods. Drawing arm normalized DM iEMG activity was significantly low in third period (DM MVC %; 1. Period; 17.892±7.505 2. Period; 20.941±10.556;3. Period; 8.312±6.3) (p<0.05). Drawing arm DP muscle activation was significantly higher both first (16.593±4.585) and second period (18.801±5.546) then third period (6.787±6.068). TM and TL iEMG activities in the drawing arm have been statistically higher in second period (p<0.05). Bow arm DM and DP muscle activities were statistically lower (DM: 15.985±8.729; DP:10.03±5.865 ) in 3. period. Similar statistical differences in bow arm TM and TL muscles can be seen in III. Period. Both in drawing arm and bow arm shoulder girdle muscles have been showed significant decreasing in the third period starting by releasing process. Ertan, H., Kentel, B., Tümer, S. T. (2003). Activation patterns in forearm muscles during archery shooting. Human Movement Science, 22, 37-45. Ertan H, Kentel B.B., Tümer S.T. (2005a). Reliability and validity testing of an archery chronometer. Journal of Sports Science and Medicine, 4, 95-104. Ertan H, Soylu A.R., Korkusuz F. (2005b). Quantification the relationship between FITA scores and EMG skill indexes in archery. Journal of Electromyography and Kinesiology, 15(2), 222-227. Clarys, J. P., Cabri, J., Bollens, E., Sleeckx, R., Taeymans, J., Vermeiren, M., Van Reeth, G., Voss, G. (1990). Muscular activity of different shooting distances, different release techniques, and different performance levels, with and without stabilizers, in target archery. Journal of Sport Sciences, 8, 235– 257. Hennessy, M.P., Parker, A.W. (1990). Electromyography of arrow release in archery. Electromyography Clinical Neurophysiology, 30, 7-17. Konrad, P. (2005). The ABC of EMG, (April), 1–60. Kolayiş, E., I. (2000). The effects of hearth rate and aiming time on performance in Turkish Archery National Team. Sakarya University. Unpublished Master thesis. Landers, D. M., Boutcher, S.H., Wang, M.Q. (1986). A psychobiological study of archery performance. Research Quarterly for Exercise and Sport, 57(4), 236-244. Leroyer, P., Hoecke, V., Helal, N. (1993). Biomechanical study of the final push –pull in archery. Journal of Sport Sciences, 11, 63-69. Mann, D.L., Littke, N. (1989). Shoulder injuries in archery. Canadian Journal of Sport Sciences 14, 85-92. McKinney, W., McKinney, M. (1997). Archery (8th ed.). Madison WI: Brown & Benchmark. Nishizono, H., Shibamaya, H., İzuta, T., Saito, K. (1987). Analysis of archery shooting technics by means of electromyography. 5th International Symposium on Biomechanics in Sport, 364-372. Pekalski, R. (1990). Experimental and theoretical research in archery. Journal of Sport Sciences, 8, 259-279. Sekulic D, Medved V., Rausavljevi N., Medved V. (2006). EMG analysis of muscle load during simulation of characteristic postures in dinghy sailing. Journal of Sports Medicine and Physical Fitness, 46, 20-7. ISNAD Eroğlu Kolayiş, İpek , Ertan, Hayri . "Differences in Activation Patterns of Shoulder Girdle Muscles in Recurve Archers". 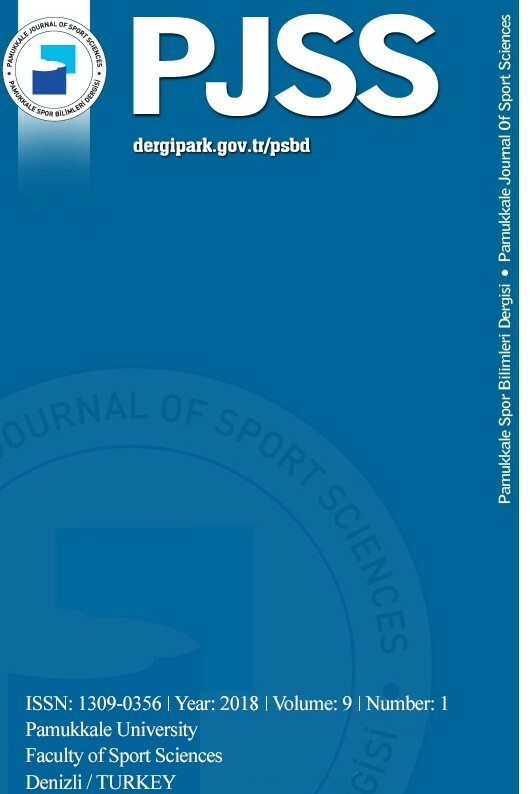 Pamukkale Journal of Sport Sciences 7 / 1 (January 2016): 25-34.